According to Bloomberg News, "Kwon Moon Sik, who was president of the research and development division, quit yesterday along with two other executives, the Seoul-based company said in an e-mailed statement today. It didn’t say who will replace Kwon." Hyundai is in the midst of recalling 150,000 vehicles in the United States and Korea because of brake issues. Brake lights may not illuminate properly and cruise control might stay engaged, which are a major safety concern, according to the National Highway Transportation Safety Administration investigation that was opened. 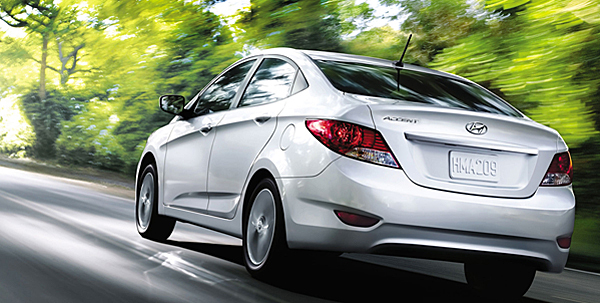 As the Wall Street Journal reports, "The brand reliability of Hyundai and Kia has slipped in the U.S. market. According to the 2013 Automobile Brand Reliability Survey conducted by the U.S. consumer magazine Consumer Report, Hyundai Motor ranked 21st, down four notches from a year ago, while Kia fell six places to 16th." That's the biggest concern facing Hyundai. Word of mouth continues to be a strong driving force in selling cars and concerns about quality could hamper the company. However, in the short term sales weren't affected in October. It was another record setting month for the company. Reuters further reports, via AutomotiveNews.com, "Kwon has been research and development president for just over one year and was brought in shortly before Hyundai and affiliate Kia Motors admitted they overstated the fuel economy of more than 1 million vehicles in North America. Just last month, Kwon, the No.2 official in Hyundai/Kia's [research and development] center after Vice Chairman Yang Woong-chul chaired a domestic media event for the new Genesis premium sedan." Hyundai also replaced two other executives in charge of engineering and electronics technology as part of its latest shake-up. They resigned to "take responsibility for a series of quality issues," Hyundai said in a statement. "The latest personnel change shows our firm commitment to quality management and reaffirms our will to continuously improve research and development competitiveness," Hyundai said in a statement. What remains to be seen is if this departure is permanent. Reuters hinted at the mercurial nature of Hyundai's chairman Chung Mong-koo, who has been credited with revamping the quality of the once shoddy cars, still hammers home quality to executives. Chung, a son of Hyundai founder Chung Ju-yung, has been known for abruptly sacking executives, some of whom had been rehired. However, in my opinion, because Kwon is relatively new to the company, he may be an easy and permanent sacrifice to assuage investors that problems with quality are being dealt with swiftly. First the whole fiasco about the fuel economy numbers being exaggerated, now this. Good story. It is great to focus on the positives, but this was a story that needed to be done.